PhysicianOne Urgent Care was established in 2008 in Southbury, CT by three local physicians: Dr. Jeannie Kenkare, Dr. Bernd Woerner, and Dr. Robert Rohatsch. In the years that have followed, PhysicianOne Urgent Care has set the gold standard for acute care of non life-threatening medical conditions. We’re proud to be the first physician-founded urgent care center in Connecticut to be certified and accredited by the Urgent Care Association. We have also been included on the list of Top Workplaces —honors of special significance, because the list measures employee satisfaction. We take great pride in helping make the lives of local families a bit easier. PhysicianOne Urgent Care’s high-quality medical care is a cost-effective alternative to the Emergency Room as well as a convenient alternative to primary care physicians during off or peak hours. Our centers provide walk-in treatment for a wide array of non-life threatening illnesses and injuries. On-site services include X-ray, lab, wound stitching, physicals, IV, and additional services. We currently have 18 centers in Connecticut, Massachusetts, and New York. All of our centers are open 365 days a year, 8:00 am – 8:00 pm Monday through Friday; 9:00 am – 5:00 pm on weekends and holidays; and 8:00 am – 3:00 pm on Thanksgiving and Christmas Day. Experienced providers, X-ray technologists, and medical assistants are on staff at all times, and are ready to treat patients of all ages from infants to seniors. Most insurances are accepted, and affordable self-pay options are offered. Dr. Kenkare is a highly experienced clinician with a background in family medicine. As a founding member of PhysicianOne Urgent Care’s parent company Happy Mountains, she is also our Chief Medical Officer. Dr. Kenkare provides guidance and leadership to our health care team, and is responsible for the review of clinical guidelines, decision tools, and outcomes to develop and implement strategies that will improve patient care and clinical quality. 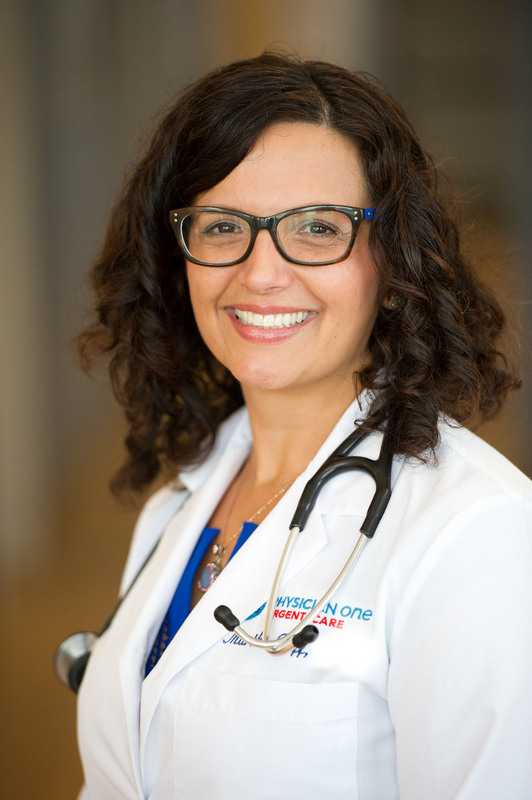 After receiving her medical degree from the University of Medicine and Dentistry of New Jersey’s School of Osteopathic Medicine (UMDNJ-SOM), Dr. Kenkare stayed on in New Jersey to complete her residency at Warren Hospital, an affiliate of UMDNJ – Robert Wood Johnson Medical School. She is an Assistant Clinical Instructor at Yale School of Medicine, where she teaches her students “patient-centered” interview skills, the delivery of “bad news”, and other sensitive issues. She has been a speaker at the Urgent Care Association of America’s national conference and was named to Connecticut Magazine’s 2013 “40 under 40” list of young professionals making significant contributions to the state. Dr. Kenkare has been called upon by state legislators and lobbyists to provide her insights on improving quality of care, clinical outcomes, and cost containment. She is a member of the American Academy of Family Physicians, and is board certified by the American Board of Family Medicine. 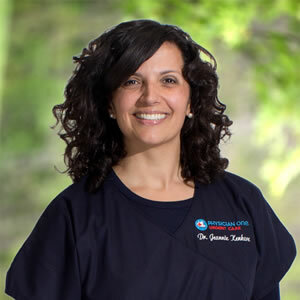 Dr. Kenkare enjoys spending time with her husband and three children. Her hobbies include biking, traveling, cooking, and hiking. Dr. Woerner, a founding member of PhysicianOne Urgent Care’s parent company Happy Mountains, is an accomplished physician with a strong interest in emergency medicine. After earning his M.D. from the Medical College of Wisconsin, he completed his residency in Emergency Medicine at Mt. Sinai Hospital in Cleveland. While a resident, he flew with the Life Flight Trauma Team to provide life-saving support to the critically ill and injured. 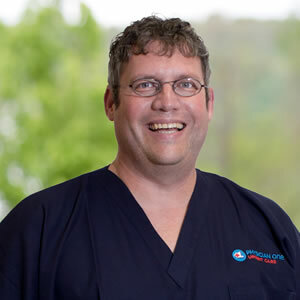 Dr. Woerner has been on the staff of several local hospitals, is a member of the Urgent Care Association of America, and is board certified in emergency medicine through the American College of Emergency Physicians. 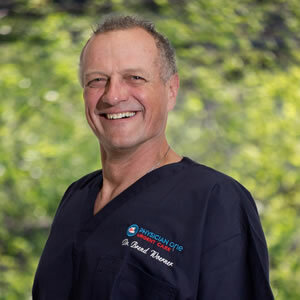 Dr. Woerner enjoys spending time with his three sons and wife, water-skiing, and snowboarding. In addition to being a renowned urgent care specialist, Dr. Rohatsch is also a founding partner of PhysicianOne Urgent Care. He is responsible for the planning and direction of initiatives aimed at achieving the highest standards for quality of care, financial performance, company culture and legislative adherence. After earning his M.D. from Jefferson Medical College in Philadelphia, Dr. Rohatsch joined the Department of Pediatrics at Thomas Jefferson University Hospital, where he assisted in ongoing research in experimental ventilation techniques. He then continued on to the University of Florida, where he completed his residency in emergency medicine. While a resident, Dr. Rohatsch trained with the NASA Space Shuttle Medical Team and became an instructor in Advanced Cardiac Life Support. He is a clinical instructor at Yale School of Medicine, a member of the Urgent Care Association of America (UCAOA) and a frequent speaker at UCAOA’s annual national conference. He is board certified in emergency medicine through the American College of Emergency Physicians and has obtained the status of diplomate. He enjoys fishing, gardening, traveling, and spending time with his family. A veteran of the United States Air Force, Dr. Rohatsch served during Desert Storm. To be the first choice in urgent care by delivering an exceptional experience to every patient, every time. We provide uncompromising, convenient care with a team of friendly and compassionate professionals that treats you with the kindness and respect you deserve.